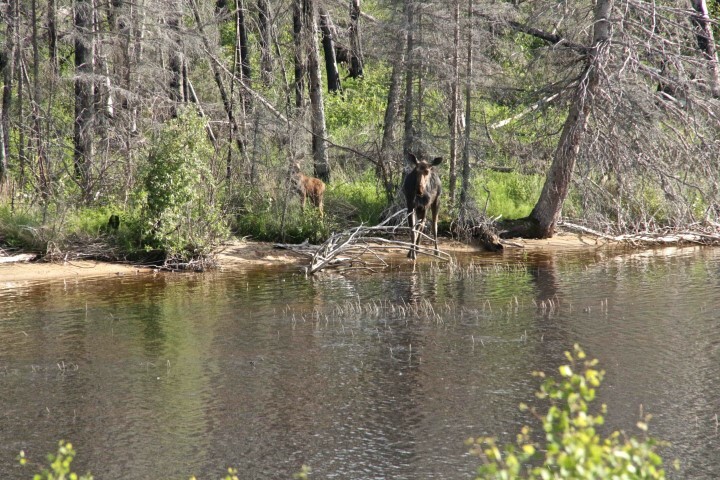 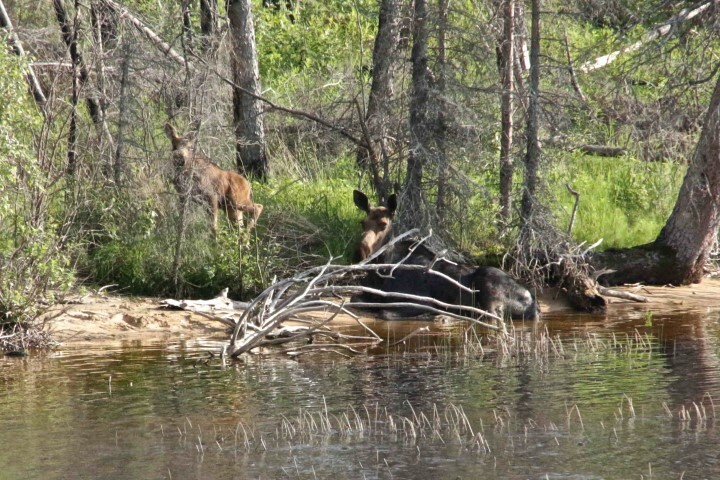 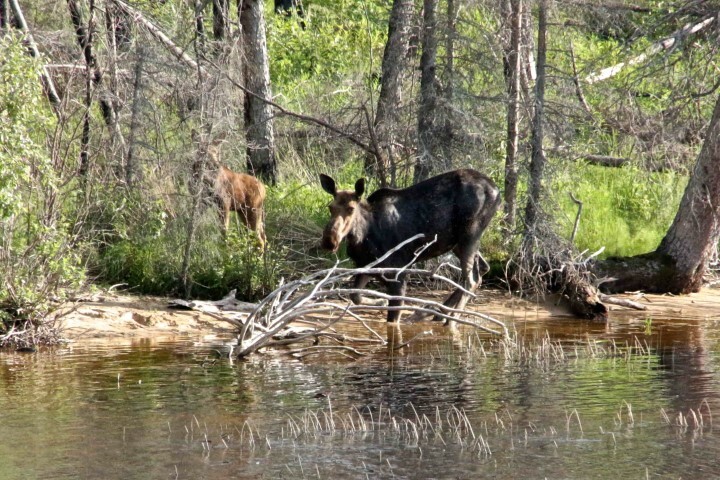 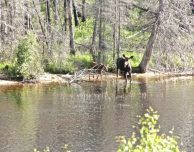 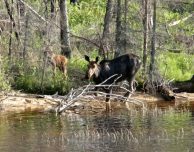 Trips to our fly-in fishing outposts in Northern Ontario are always full of adventure and wildlife. 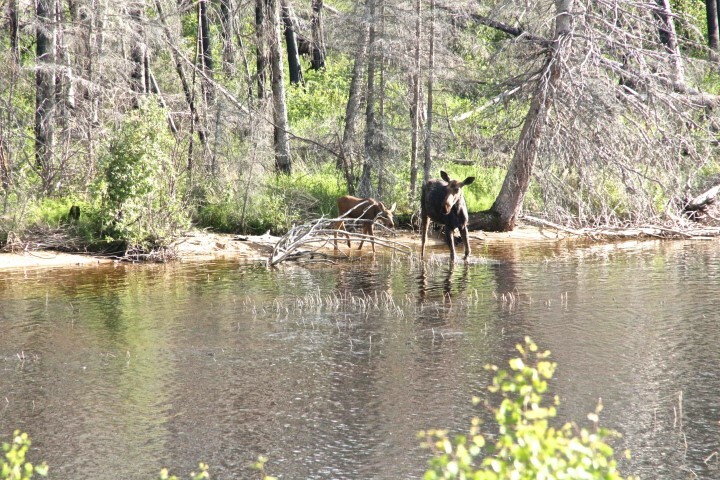 However, every once in awhile, one of our guests stumble upon something even more extraordinary. 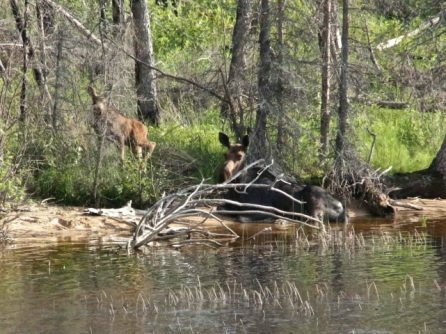 The Duininck group at Larus Bay was lucky enough to have two sightings of two sets of Twin Moose on the same day! 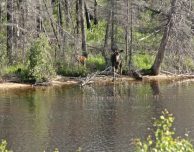 They also saw plenty of Eagles during their vacation, but these little guys were certainly the highlight of their trip.